Keeping the annual Nature Island Literary Festival &Book Fair (NILF&BF) alive after six years is proving to be a big challenge for the organisers. "Every year it gets harder," said Dr. Alwin Bully, the chairman of the organising committee. Dr Bully blames the world economy which has virtually sucked the life out of voluntary organisations and cash from the coffers of the private sector on which the NILF&BF depends. "The corporate sector is itself seeking support to remain alive," he said at a recent press launch of the festival carded to be held at the University of the West Indies Open Campus grounds from August 9-11, 2013. Bully hopes that help will come to cover the cost of running the event since the potential sponsors know "man cannot live by bread alone". "All this has to do with the mind and how the mind is allowed to explore. This is basically what we are about," Bully said. "It is free and it will remain free." The NILF&BF is part of the islands observance of emancipation and so each year the theme reflects some aspects of the emancipation of slaves in Dominica and the Caribbean. In 2013, the theme selected itself, sort of. "This year the theme was obvious because this year marks the 100th anniversary of the birth of an extremely celebrated writer, in fact our neighbour in the person of Aimé Césaire of Martinique whom many Dominicans do not know about and need to know about because of the quality and standard of his work," Dr. Bully said. According to a profile provided by the NILF&BF, Césaire is one of the founding fathers of the Négritude movement. Negritude, a term defining pan-African black consciousness, emerged from the collective experiences of black artists, writers and thinkers' from African and Caribbean colonies who had migrated to France for education and a better life in the early 20th century. Born in Basse-Pointe in 1913, Aimé Césaire attended local schools until he left Martinique to pursue university education in Paris. One of their collaborative efforts with other black Paris intellectuals is the journal Tropiques. His first major work of poetry, Notebook of A Return to My Native Land, was written in 1936 and published in 1939. In Notebook, Césaire laments the imposed inferiority of blacks as he experiences it through his travels between Martinique and France. Césaire's commitment to Negritude is well established in his celebrated essay Discourse on Colonialism, first published in 1955. 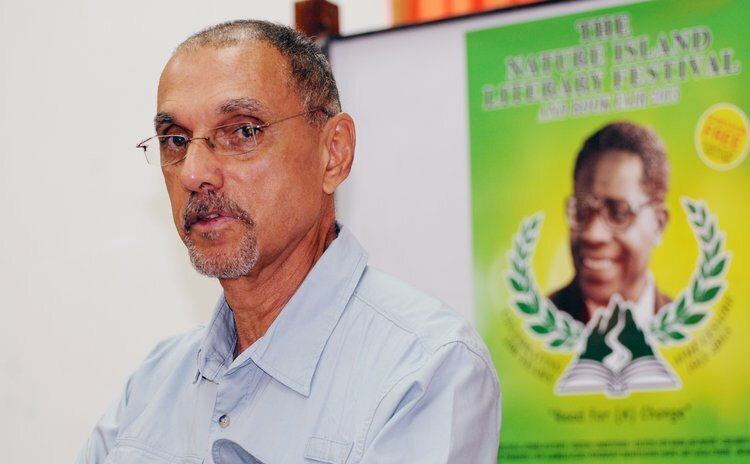 He was actively involved in progressive politics while in France and, once he returned full time to Martinique, took up the political mantle there as well. Césaire was persistent in his advocacy for French Caribbean independence throughout his tenure as President of the Regional Council of Martinique from 1983 to 1988, as mayor of Fort-de-France, and in other political positions he held. He retired from politics in 2001. He passed away in Martinique on 17 April 2008.